Deliver both IPTV and multiscreen TV services with guaranteed viewing experience at the lowest costs on a single operator CDN platform. Video will account for up to 90% of the total Internet traffic by 2018. The surging video traffic combined with increasing preferences of consuming TV over mobile devices, connected TVs, UHD screens, means significant needs for telco operators to upgrade network capacity. As traditional CDNs are not optimized for TV, managing existing systems to keep up with growing TV demands and changing requirements becomes reactive, too slow and costly. Ultimately, network costs surpass revenues and quality of experience suffers. Reaching deeper into your network will significantly reduce delays and buffering, giving you more control over your viewing experience, with your own operator CDN. As traffic grows, you can significantly reduce backhaul traffic by building a caching hierarchy. 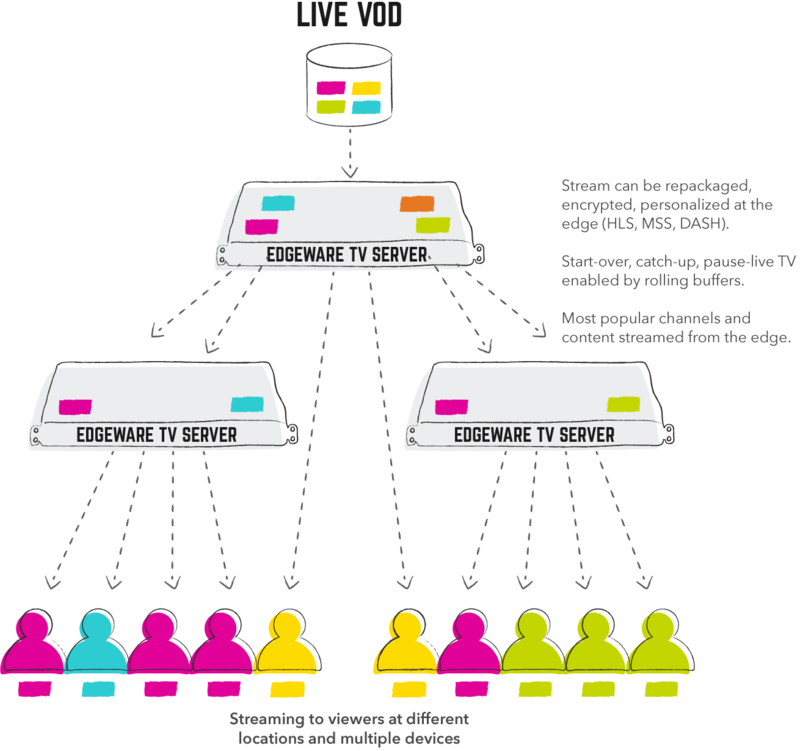 This distributed delivery architecture is based on the principle that 80% of your viewers watch only 20% of your content. By caching the most popular content and channels at the edge, you are already serving 80% of your viewers. Essentially, you reduce upstream network traffic by the same volume. Edge TV Repackaging will reduce backhaul bandwidth even more.